Details on older people's involvement: Older adults are the target audience, but they also contribute hugely to the running of the event as stallholders, performers and volunteer helpers. COTA NT has over 20 seniors who volunteer for this event (and many other programs and events throughout the year). The first ever COTA NT SENIORS EXPO in 2015 won the City of Darwin Community Event of the Year award, nominated by the local community. COTA NT received 100% positive feedback and many requests to repeat the event. 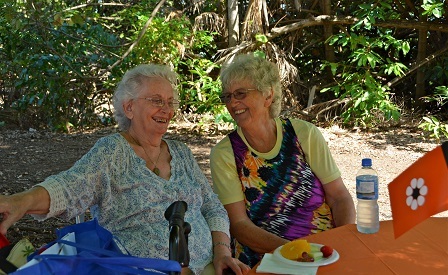 COTA intends to hold a SENIORS EXPO every year to complement its ongoing programs and activities.